The GM-brand diesel engine, Duramax, is one of the most powerful, durable diesel engines available today. Its towing ability is legendary with monstrous torque, and its effortless acceleration and smooth running operation make any Duramax-equipped truck a joy to drive. When the time comes that your Duramax needs its regular maintenance or the odd repair, see Precision Automotive Service to get you back on the road in no time! 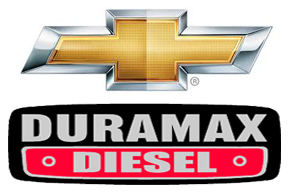 We service and repair all models equipped with Duramax diesel engines. All Duramax repairs use only GM Original Equipment, ACDelco, or factory-authorized aftermarket parts. Your highly capable Duramax engine requires regular maintenance to keep it operating at peak performance and efficiency. See the diesel experts at Precision Automotive to service your Duramax. For affordable, reliable Duramax diesel engine repairs and service, see Precision Automotive Service, serving Sacramento and surrounding communities. Book an appointment today by using the online appointment request form, or give our friendly staff a call.